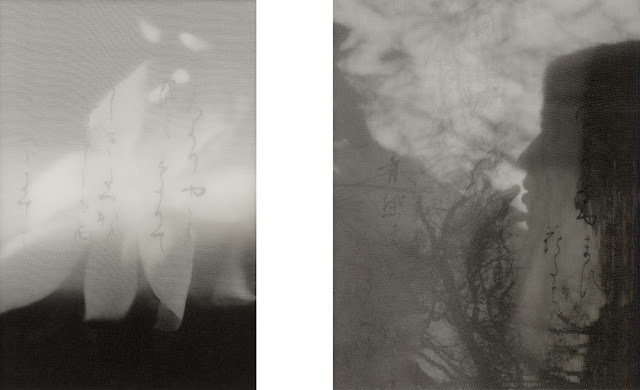 Currently on display at photo-eye Gallery is a group exhibition that includes a few new images by Chaco Terada. We met Terada a few years ago. At the time she had recently started her visual exploration mixing calligraphy and photographic imagery. Each summer since her first visit, Terada has returned to photo-eye to share some of her favorite images that she has produced in the last year. Every visit is quite a treat. I have asked Terada to tell us a little bit about these new unique pieces.